William's stepmother, Elizabeth Broadley, emigrated about 1645 with her five children, upon the death of William's father, Danyell Broadley. William had already emigrated in 1638, sometime after his mother had died, as a member of the Davenport-Eaton founding expedition. This expedition is described in the James Truslow Adams book The Founding of New England. Excerpt from the book. William's younger brother Daniell had emigrated even earlier, in 1635 on the Elizabeth. William helped build the new settlement, but did not arrive until 1641. 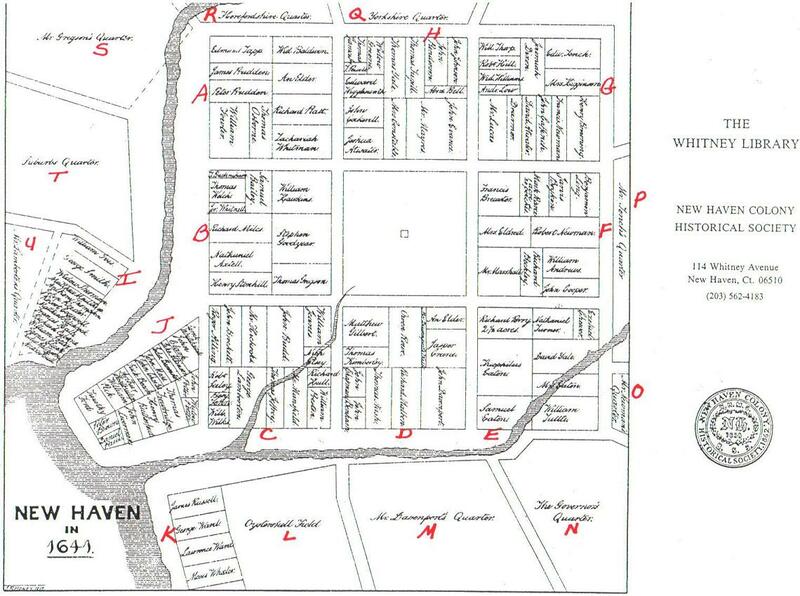 Land Ownership Map of New Haven from The Munson Record, 1892. William was in New Haven Aug 5, 1644 when he took an oath of fidelity. He owned land on Grove Street at the westerly corner of Mill Lane, but moved in 1649 to East Farms, known afterwards as North Haven. His home and lot on Grove Street was deeded to his son Benjamin on Mar 30, 1683. William was a selectman of New Haven intermittently between 1656 and 1680. He also was deputy from New haven to the General Court of Connecticut intermittently from 1675 to 1683. William's oldest child Joseph married Silence, a daughter of John Brockett, in 1667. William's youngest child Sarah married Samuel Brockett, a son of the same John Brockett. 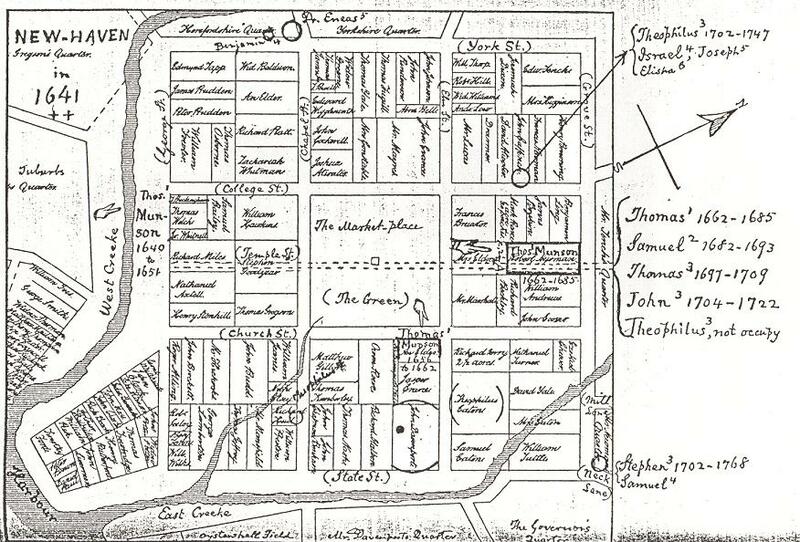 John Brockett (1612-1690) is credited with the planned design of early New Haven. Brockett Map of 1641. William Bradley is buried in the Grove Street Cemetery, New Haven, the same place where Eli Whitney, inventor of the cotton gin, is buried. Bateman, Colonial and Revolutionary families of Pennsylvania, New York NY, 1965, v. 17. Bradley, Leonard Abram, Descendants of Isaac Bradley of Branford & East Haven, Conn., 1650-1898, privately printed, New York, 1917, pp. 38,41. Daughters of the American Colonists, Lineage # 4572.